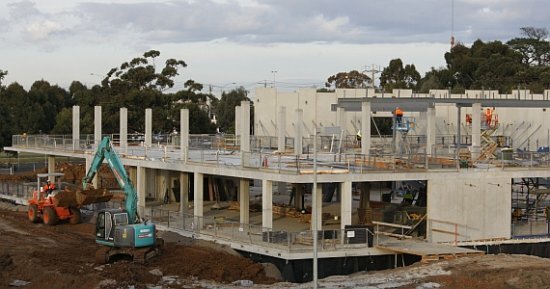 Three of the new buildings being constructed around the Australian Synchrotron are now in use: the technical support laboratories building, the office extension pod and the switchroom extension. 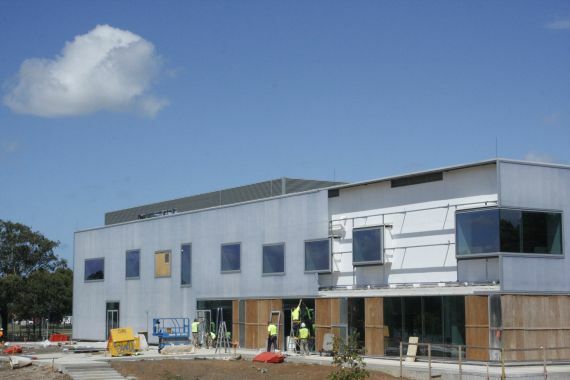 External construction of the user accommodation building is complete, and the building is being fitted with furniture in readiness for users. 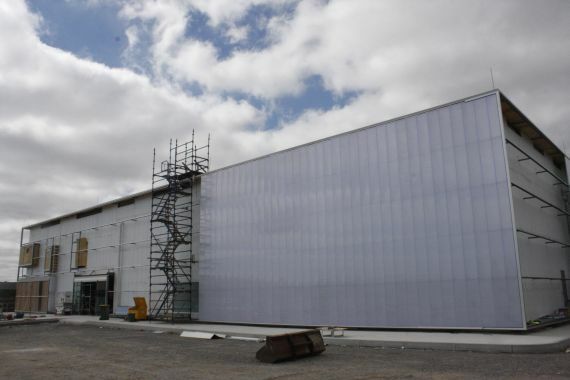 The biggest construction project, the National Centre for Synchrotron Science building, is nearing completion, with installation of windows and Rodeca panelling on all exterior walls. 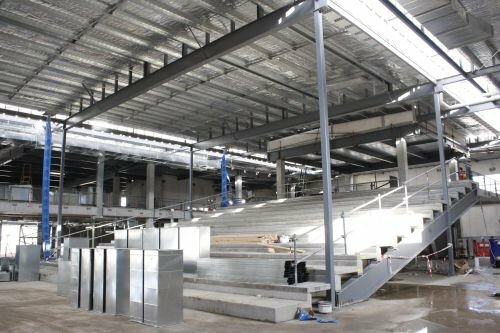 Inside the building, auditorium seating and lighting are in place, and interior walls and office fittings are quickly taking shape. 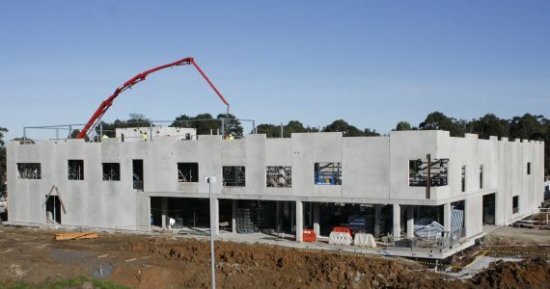 Commenced in late 2010, these projects are an initiative of the Australian Government being financed from the Education Investment Fund. 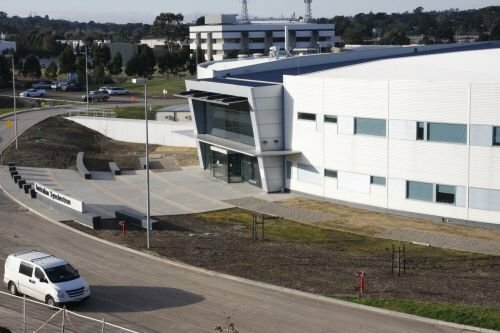 Click here to download a map (pdf, 140kb) with information about new parking arrangements for visitors to the synchrotron. 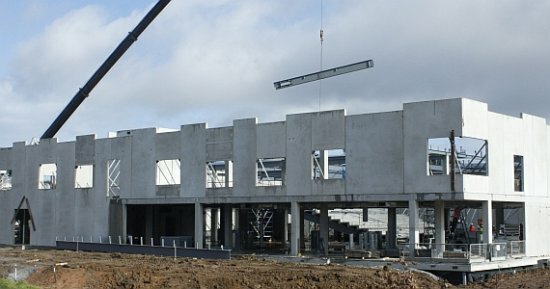 Two-storey building with a 400-seat auditorium, seminar rooms, exhibition space, User Office, staff offices, cafeteria and underground parking. 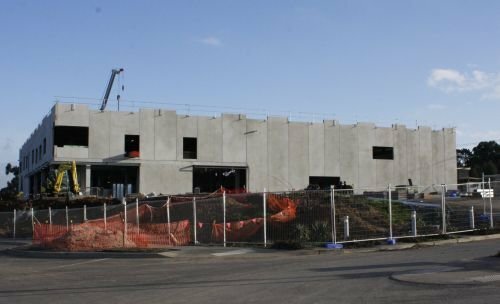 Building construction is ahead of schedule. Installation of the translucent Rodeca panelling facade is almost complete and most of the exterior windows have been fitted. Kitchen equipment has been installed and joinery items are being fitted out throughout the building. 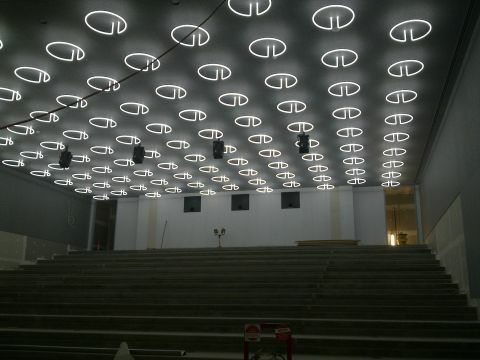 Auditorium lighting comprises an impressive array of 120 circular fluorescent luminaries. The NCSS building has a five-star rating under the Green Star system, which is a comprehensive, national, voluntary environmental rating system that evaluates the environmental design and construction of buildings. 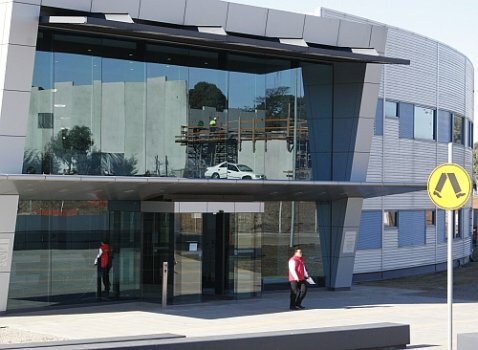 To achieve this rating, the building includes features such as 20 kilolitre water tanks for recycling water, high-efficiency heating and cooling systems, and 100 photo-voltaic panels on the roof to offset the power needed for the facade lighting, which is a key feature of the building’s exterior. 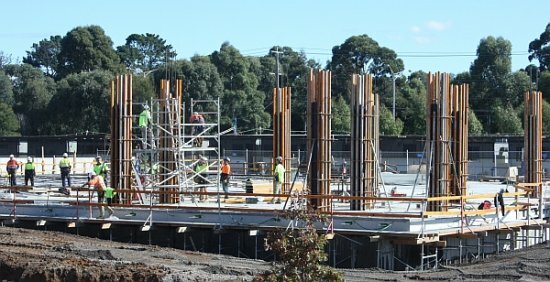 Several elements of the NCSS building, such as landscaping, fittings, and audiovisual equipment, are being managed separately from the main construction works. Investigations into the operation of the cafeteria are continuing. 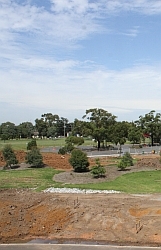 Following several feasibility studies in late 2011, a detailed landscaping design is being developed from the landscaping masterplan to address aspects such as tree types and locations, irrigation pipes, concreted areas, parking, benches and seating. 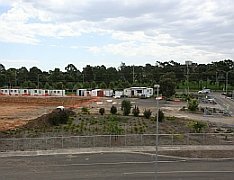 The design calls for many new trees to be planted, particularly around parking areas and the user accommodation building. A vegetable garden will be established near the existing barbecue area. 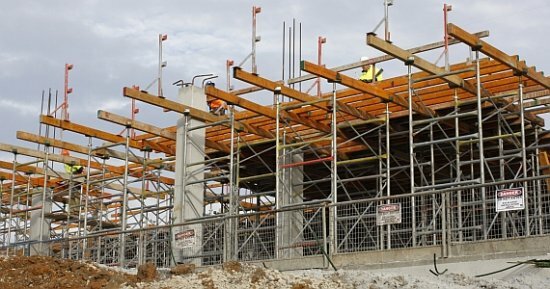 The entrance roadway and lighting for the main synchrotron building will be redesigned. The landscaping work is now complete. 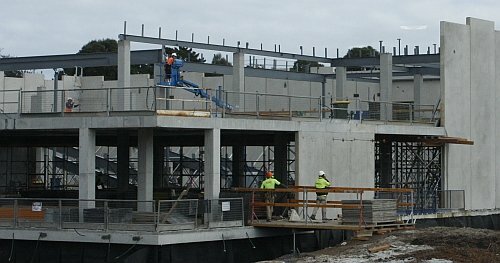 See below for photos of construction work on NCSS building. Two-storey building with 50 self-contained rooms, communal kitchens, lounges, laundry and reception. The ground floor includes disabled facilities. Construction is complete. Following successful assessment of the prototype bedroom, all bedrooms are being fitted out with furniture. 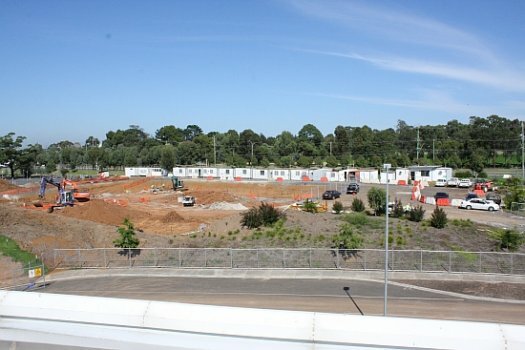 The kitchen, laundry and lounge areas are also being equipped with furniture, fittings and equipment. 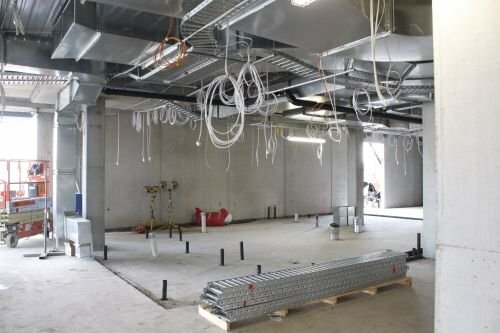 “The user accommodation building is so nice, particularly the lounge area, that synchrotron staff are already joking about occupying the building themselves,” says Alexis Kouts from the Synchrotron’s Major Projects and Technical Services Group. Processes are being developed for carrying out the necessary cleaning, scheduling, security, repair and maintenance tasks. 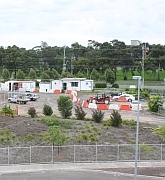 The modular extension ‘pod’ connected to the main synchrotron building is complete. 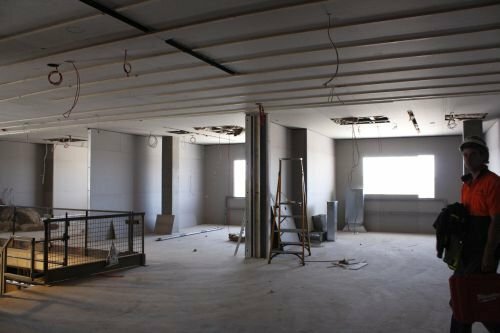 It has been fitted out with workstations and office furniture and is now occupied by staff from several groups, including Major Projects. 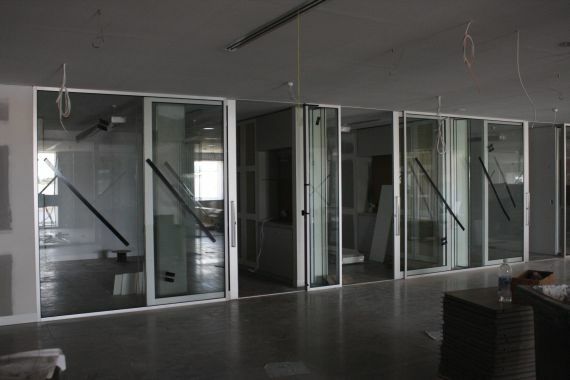 The building provides a simple but functional open office area with plenty of natural light. Spare desks are available for visitors to use. This building is occupied and fully operational with four laboratories, an open plan office, meeting rooms, mechanical workshop and stockroom. The large spaces within this building have enabled the engineering group to be consolidated into one area, supported by tools and equipment located downstairs. Extension to the existing low voltage switch room, which had reached capacity. The uninterrupted power supply (UPS) system is now operational. 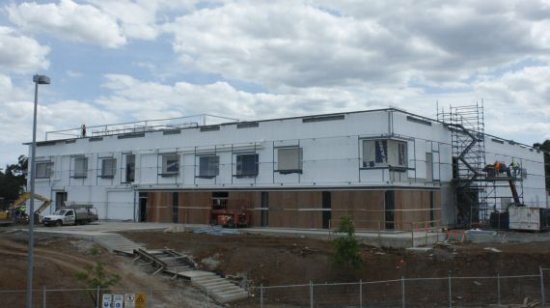 A cooling system is being installed for days of extreme heat. 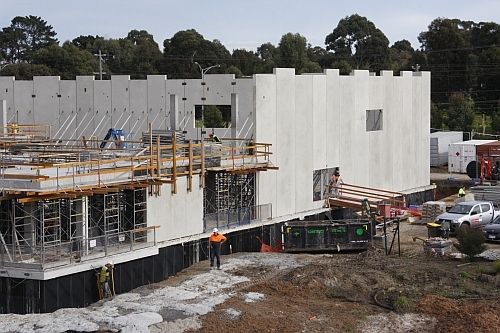 Above (6 February 2012): the east wall of the NCSS building. 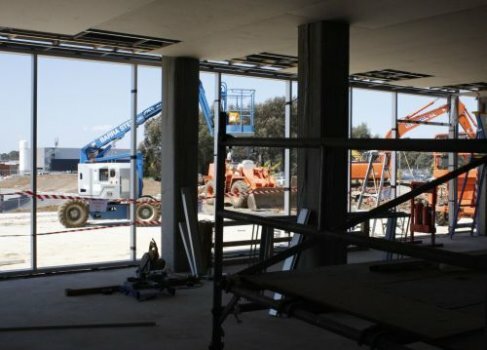 Above left (19 January 2012): inside the central office space. 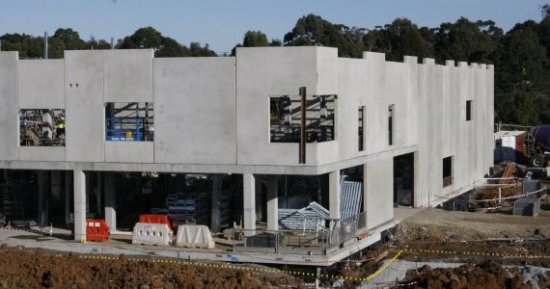 Above right (6 February 2012): west side of the central office space. 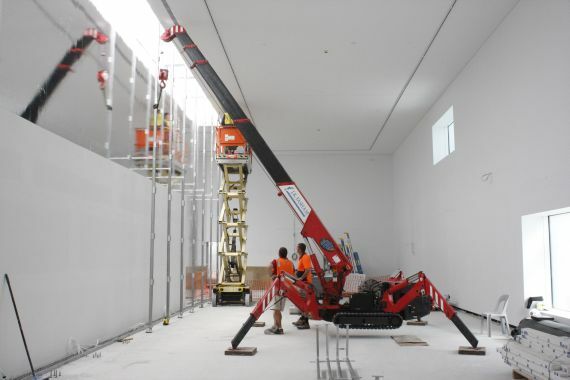 Above (19 January 2012): inside the NCSS exhibition space. The north wall of the building is on the right-hand side of this photo. 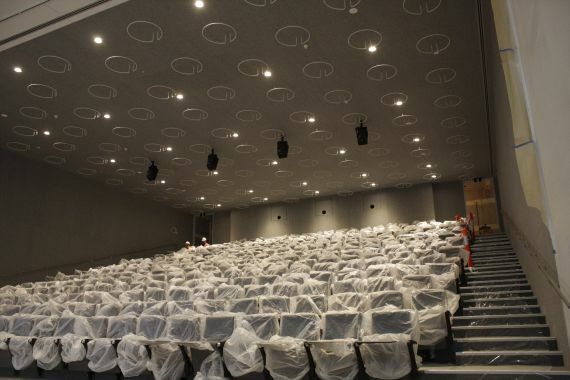 Above left (19 January 2012): inside the NCSS auditorium. Above right: the lighting in the auditorium. 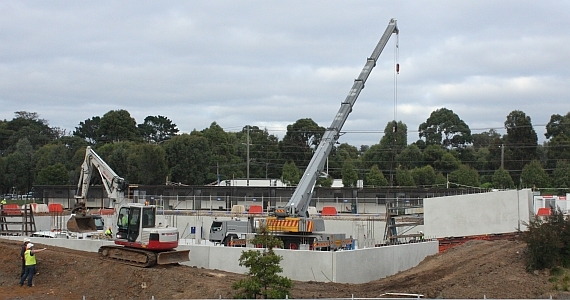 Above left (19 January 2012): the north wall of the NCSS. 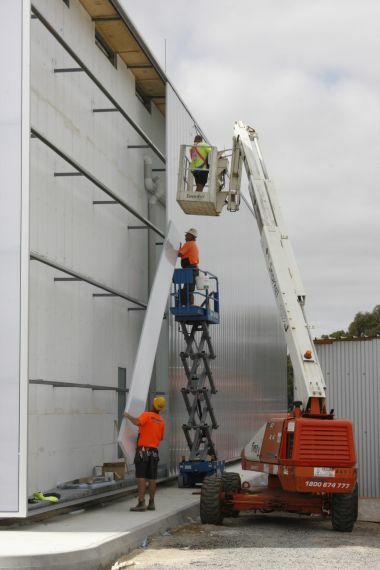 Above right (19 January 2012): installing the Rodeca panelling. Above (15 December 2011): NCSS building viewed from main synchrotron building. You can see the Rodeca panelling on the far left-hand cornerof the building. Above (27 October 2011): NCSS building viewed from main synchrotron building. 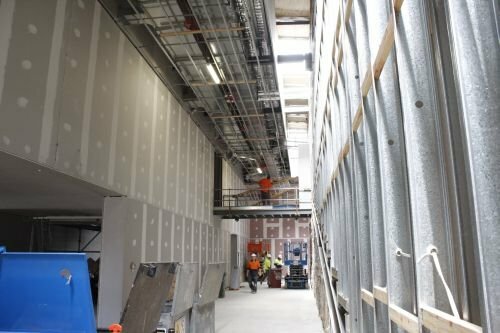 Above (14 October 2011): inside the NCSS, looking south past the auditorium wall (LHS). 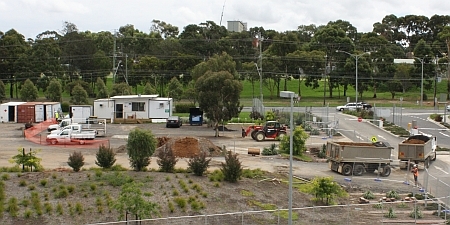 Above (14 October 2011):inside the NCSS user office, looking north towards the main synchrotron building (right) and the IMBL satellite building (left). 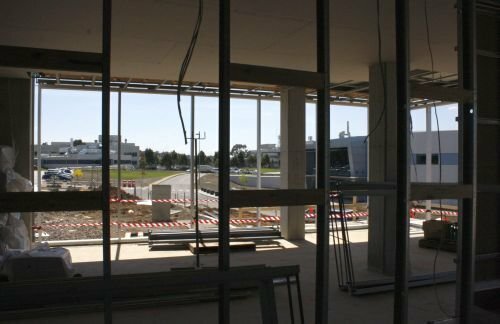 Above (14 October 2011):inside the NCSS canteen, looking roughly south east past the technical support laboratories towards the Melbourne Centre for Nanofabrication. 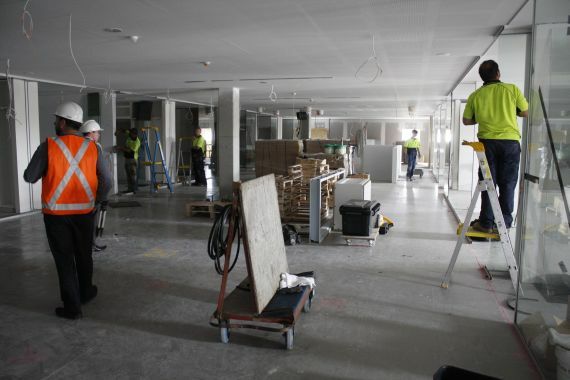 Above (14 October 2011): inside the first-floor office area in the NCSS building. 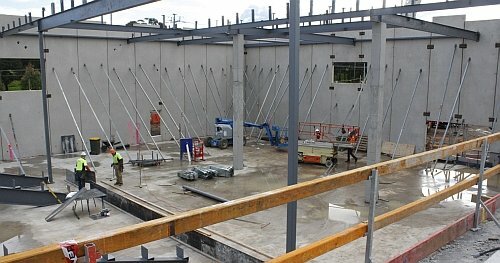 Above (12 August 2011): the auditorium space inside the NCSS building. Above (12 August 2011): inside the NCSS building. 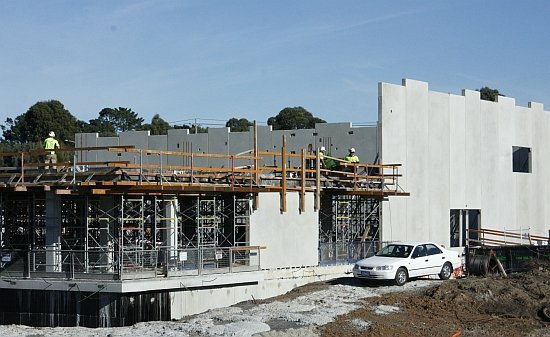 Above (12 August 2011): the north wall of the NCSS building. Above (12 August 2011): what the main synchrotron building looks like from the NCSS first floor. 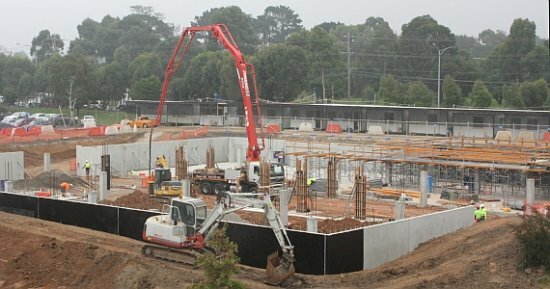 Above (11 August 2011): NCSS building viewed from the ground floor of the technical support laboratories building. 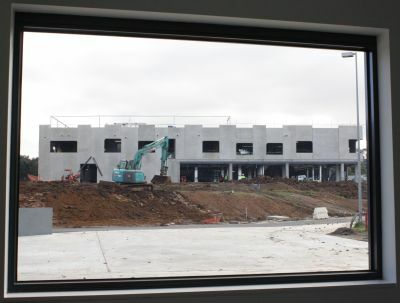 Above (11 August 2011): NCSS building viewed from the first floor of the technical support laboratories building. Above (28 July 2011): filling in the spaces. Above (28 July 2011): the NCSS building. 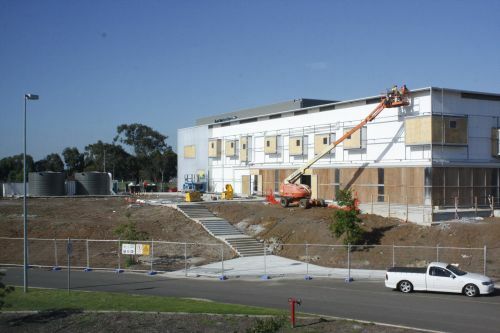 Above (14 July 2011): four walls, but still no roof - the NCSS building continues to take shape. 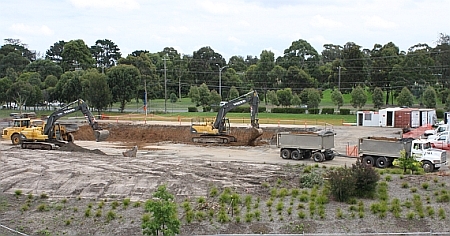 Above (1 July 2011): using dirt stockpiled from the excavation to fill in the trench around the NCSS building. 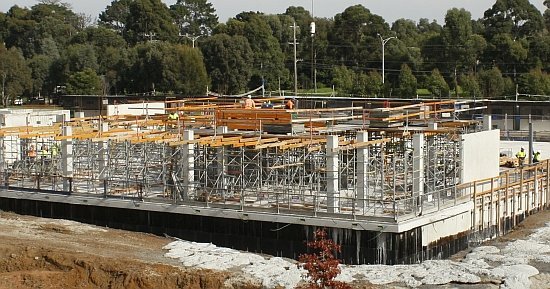 Above (24 June 2011): progress on the NCSS building. Above (24 June 2011): looking down from the first floor of the NCSS building into the southwest corner of the auditorium space . Above (24 June 2011): looking down from the first floor of the NCSS into the northwest corner of the auditorium space. 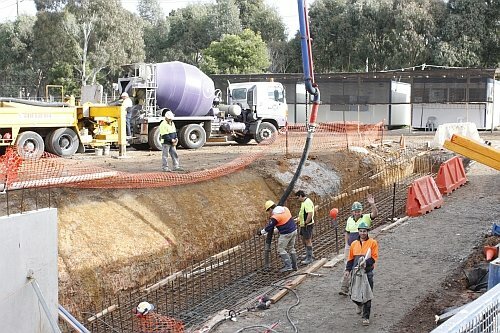 Above (24 June 2011): pouring concrete for the retaining wall at the entrance to the NCSS basement carpark. 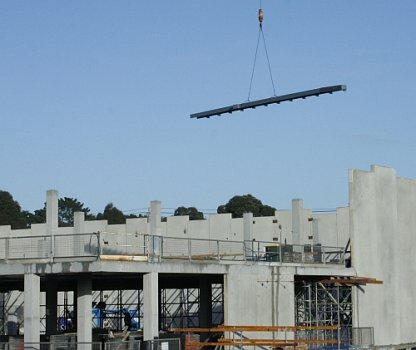 Above (23 June 2011): a steel beam is lowered into the auditorium area of the NCSS building. 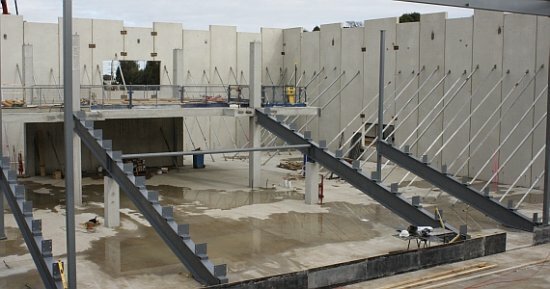 Above (16 June 2011): NCSS building. Above (2 June 2011): NCSS building reflected in the front windows of the main synchrotron building. Above (2 June 2011): the NCSS viewed from inside the main synchrotron building. 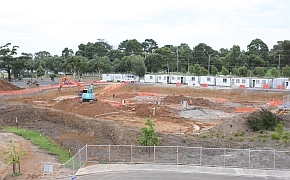 Above (21 April 2011): progress with construction work for NCSS building. 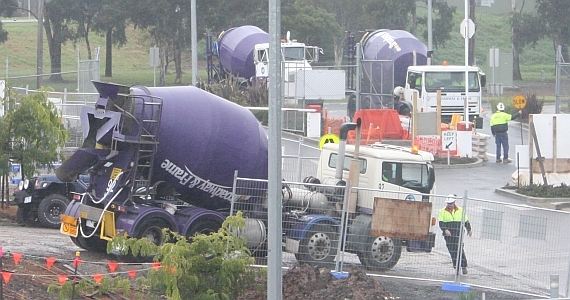 Above (14 April 2011): cement trucks lining up in the rain for the NCSS building. 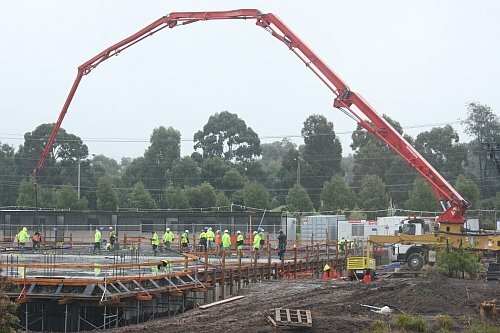 Above (14 April 2011): pouring concrete in the rain for the NCSS building. 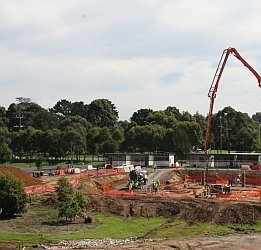 Above (12 April 2011): construction work for NCSS building. 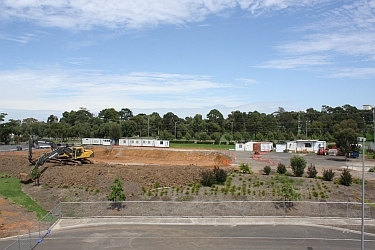 Above (31 March 2011): construction work for NCSS building. 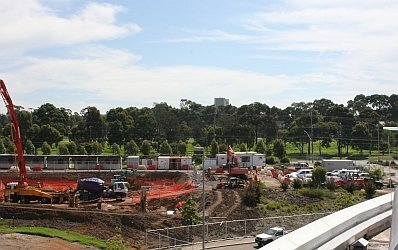 Above (29 March 2011): construction work for NCSS building. 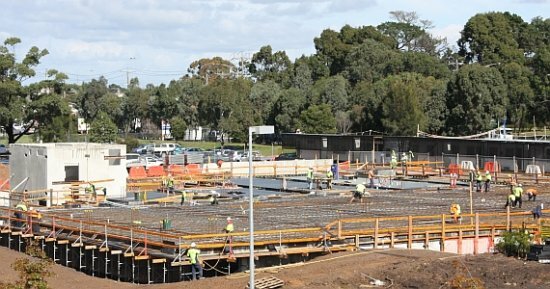 Above (17 March 2011): construction work for NCSS building. 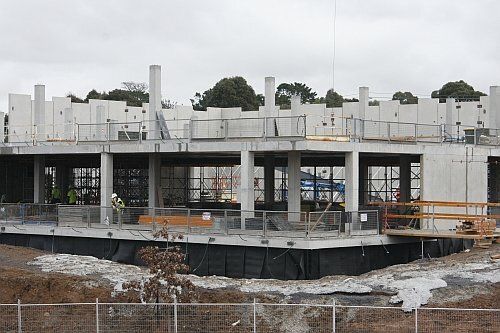 Above (7 March 2011): construction work for NCSS building. 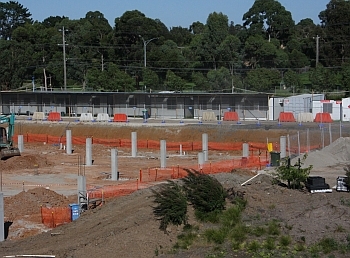 Above (24 February 2011): construction work for NCSS building. 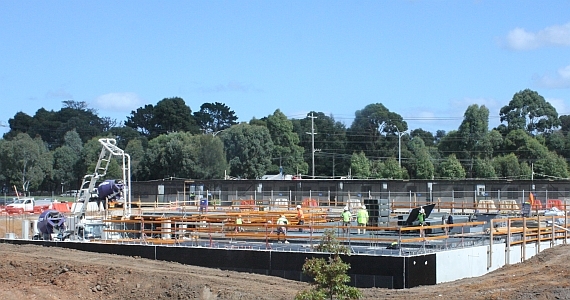 Above (15 February 2011): construction work for NCSS building. 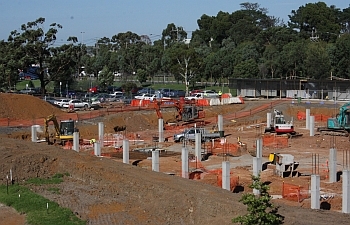 Above (10 February 2011): construction work for NCSS building. 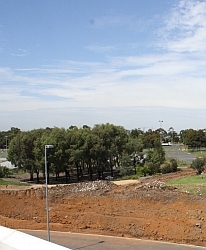 Above (1 February 2011) L to R: excavation works for road relocation and NCSS building. 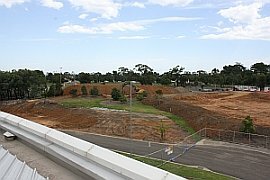 Above (18 January 2011): views of the excavation work in the gravel carpark near the synchrotron entrance gate on Blackburn Road.